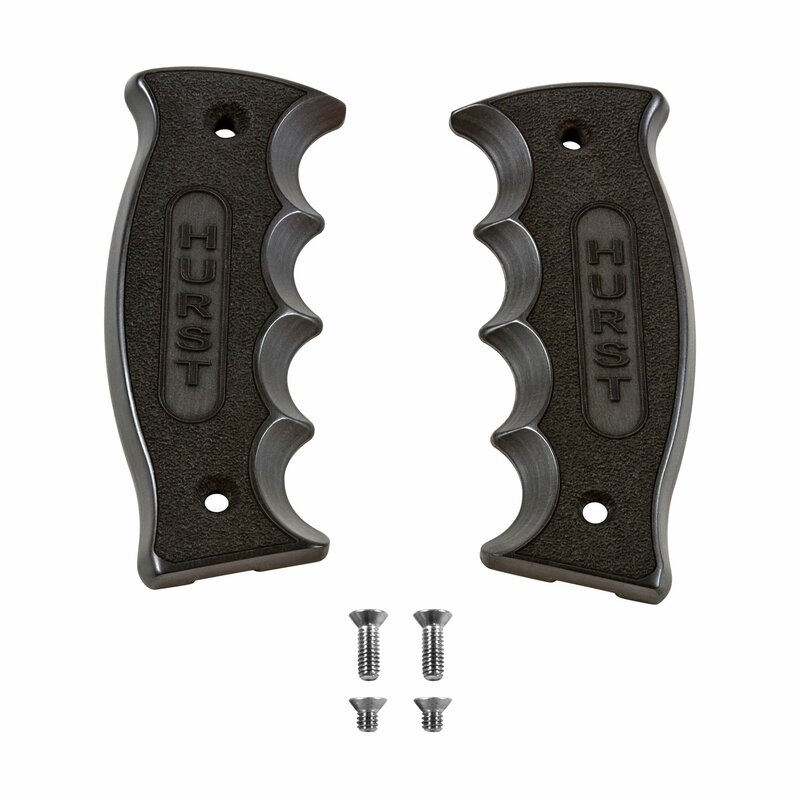 Fits Hurst Pistol Grip Automatic Shifter Handles for Mustang, Camaro and Challenger. These new replacement side grip plates are a great way to customize the look of your Hurst Billet/Plus Auto shift handles we produce for the late model Mustang, Camaro, Charger and Challengers. The side plates are manufactured from real Blackwood, come with a stippled finish for comfort and a sure grip, along with the Hurst name engraved on the sides which all add up for an elegant look to your cars interior. Made in the USA.